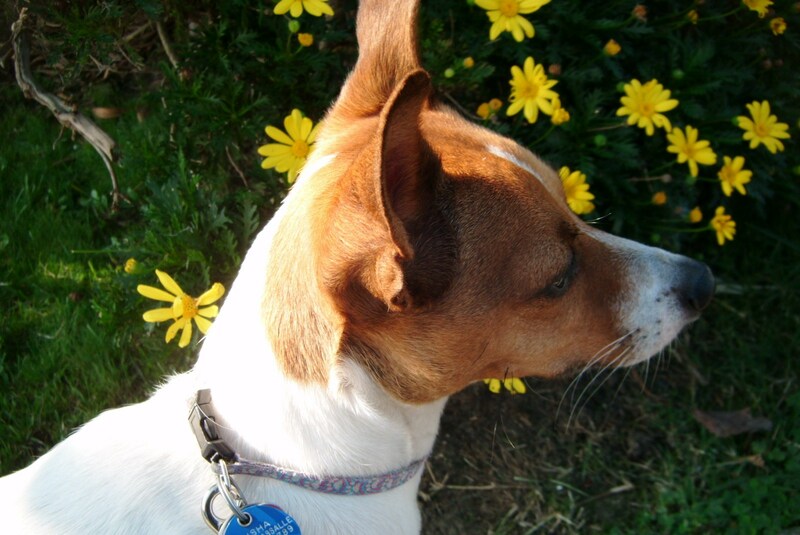 My Jack Russell Terrier stops to smell the flowers on one of our daily walks. Walking your dog…part of the daily routine for most dog owners. From the start, Misha was a challenge on leash. Misha was awful that first year. For many weeks, she walked on two legs in front of me gasping at the end of the leash. I eventually got her to walk on all four legs somewhere near my side, but there were problems that had to be dealt with. I had to figure out how to walk with a 7 lb. dog. It’s very different from walking a 75 lb. dog. For one thing, you don’t have to have such a strong leash correction. It is incredibly easy to pull a small right off her feet if you’re not thinking. Then, every leash I had for my Lab was too long, too wide, and had a clasp that wouldn’t fit in the little hole on Misha collar. I had to purchase a new leash that fit her needs. I decided against a retractable leash because I wanted to train her to walk at my side. 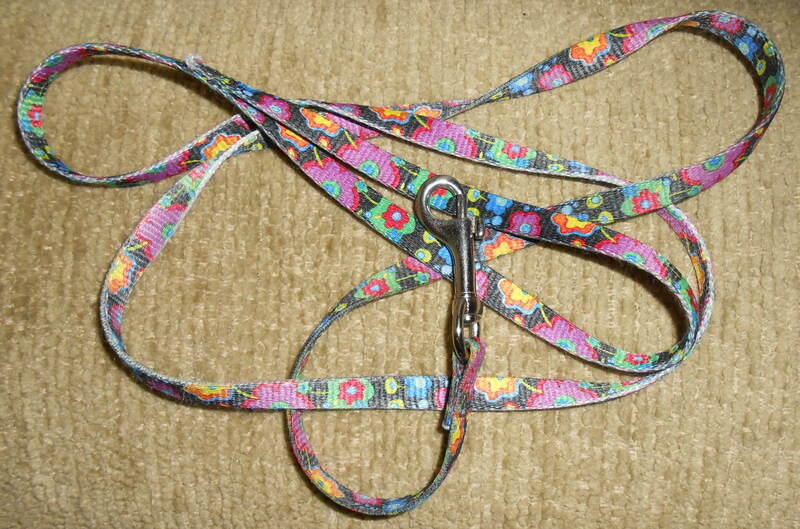 I found a very thin 3/8″ leash with a metal clasp that was still long enough to give her a little distance. This size is perfect for walking small dogs. I learned in dog training class some years ago how to train your dog to walk on the left hand side. Misha decided to add challenges to this seemingly simple task. If there was grass, she must smell it…NOW! She was constantly running in front of me causing me to put on the breaks or jump over her. I am not all that stable on my feet because of my arthritis. I just knew that eventually she’d send me sprawling face first into the sidewalk. I shifted so Misha was always on the grass side. Once we got the whole “walk together in the same direction” thing down, I worked on her heel command. Jack Russell Terriers are incredibly eager and curious. They want to please but they also want to flit after every butterfly that goes by. It took a lot of patience to get her to walk with me on command. Eventually, she got over her grass obsession. Now she walks on my left side in the same direction as me. A definite improvement! I love hearing about Mischa and her adventures. The love and patience you’ve shown for her is wonderful. I love that she is now walking on the left as you wanted her to. Perhaps she just had to make up her mind that she should be there! HA! I am so glad you enjoy her adventures, Nancy! It has taken a lot of work for her to come around, but Jack Russell’s are eager learners. And, I’m happy to not trip over her all the time.